Posted on December 3, 2017, by saraapps1 & filed under House Demolitions, News. This is a briefing sheet designed for MPs and their supporters for the debate taking place in Parliament on Wednesday 6 December on home demolitions. Life for women from Khan al Akmar is difficult but they prefer to remain on their land. 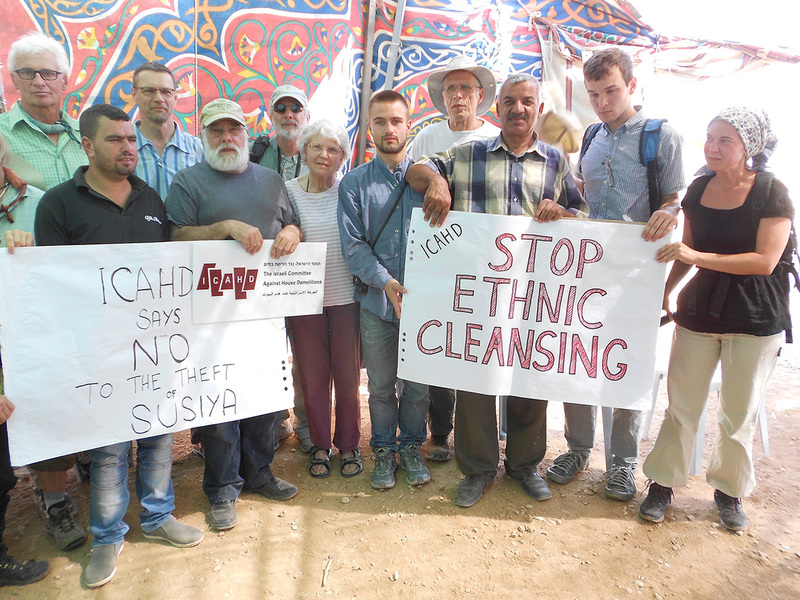 Since 1967 when the Occupation began in East Jerusalem, the West Bank and Gaza, nearly 50,000 Palestinian homes and structures have been demolished – displacing hundreds of thousands of Palestinians and affecting the livelihoods of thousands of others. Combine this with the 600 Palestinian villages that were demolished when the state of Israel was established (www.zochrot.org) creating 750,000 Palestinian refugees (3/4 of the population), and its ongoing demolition policy within the state of Israel itself, the figure exceeds more than 100,000 Palestinian homes demolished since 1948. This is a conservative figure because multiple level homes and apartment blocks count as one unit and it does not include the number of self-demolitions which is a growing phenomenon done because Israel issues a bill for the demolitions which many Palestinians cannot afford to pay. 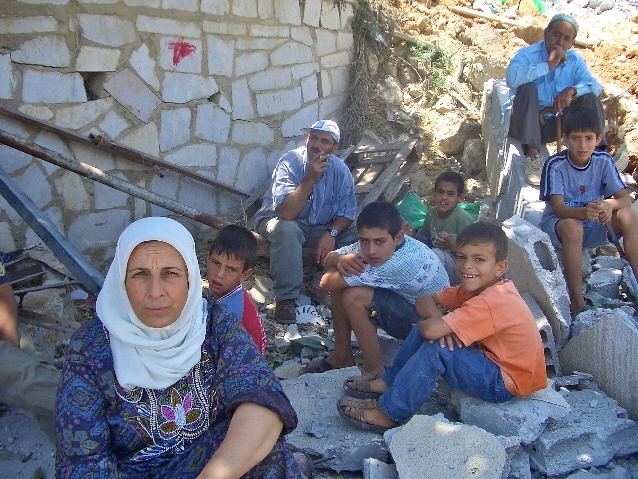 Palestinian homes are demolished for various and sundry reasons: the land they own has been declared by Israel “agricultural land” or “open green space;” they have no building permit (which the Israeli authorities refuse to grant Palestinians); the slope of their land is adjudged as “too steep;” their houses are too near settlements or Israeli-only highways (although the houses were there first); out of collective punishment for some action the punished people had nothing to do with; the “clearing” of vast tracts of land for military/security purposes; destruction for the sake of expanding roads, settlements and the “Separation Barrier;” houses “cleared” to make passage safe for settlers or for other security purposes; homes representing “collateral damage;” and more. The actual demolition of homes is only part of the story. We must also consider the tens of thousands of Palestinian families who own land and possess the financial resources to build modest homes who do not do so because they cannot obtain permits and do not want to risk demolition. 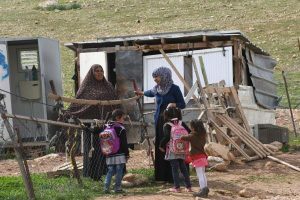 In the Palestinian sector of East Jerusalem alone there are 25,000 “missing” housing units – a completely artificial and induced housing shortage that condemns thousands of families to crowded and inadequate living conditions. Again, this is part of what Israel calls “the quiet transfer,” making life so difficult for the Palestinians that they will leave the country altogether. The vacuum created by halting Palestinian construction is filled by Israel itself. Amidst the demolitions, housing units have been built for over 700,000 Israeli Jews living in the Occupied Palestine Territory in East Jerusalem and the West Bank.